Spurs’ boss Mauricio Pochettino has signed a new five-year deal at White Hart Lane that will keep him in the club till 2021. Tottenham boss Pochettino had been linked with Manchester United, following his meeting with Sir Alex Ferguson this week. 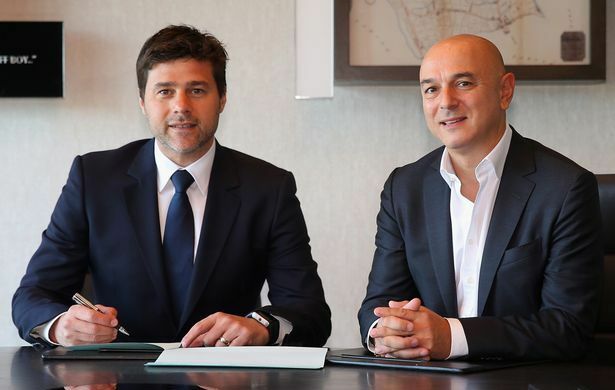 The meeting raised many questions that he might be moving to The Red Devils but Pochettino answered all the speculations by penning down five year contract with Tottenham till 2021. The Spurs’ boss also revealed that he had already agreed on the deal a month ago verbally with the club. He will now work under the title of manager rather than head coach after agreeing to the five year deal on papers. “We have enjoyed a great season and we believe this is just the beginning. We have a long-term project and huge belief that we can achieve something big here for the future. “This club has all the ingredients to continue to challenge at the very top in both the Premier League and in Europe. We want to be here to be a part of what I believe will be a special period in the club’s history.” He added. Assistant head coach Jesus Perez, first team coach Miguel D’Agostino and first team goalkeeping coach Miguel D’Agostin have also agreed extensions to their contracts.